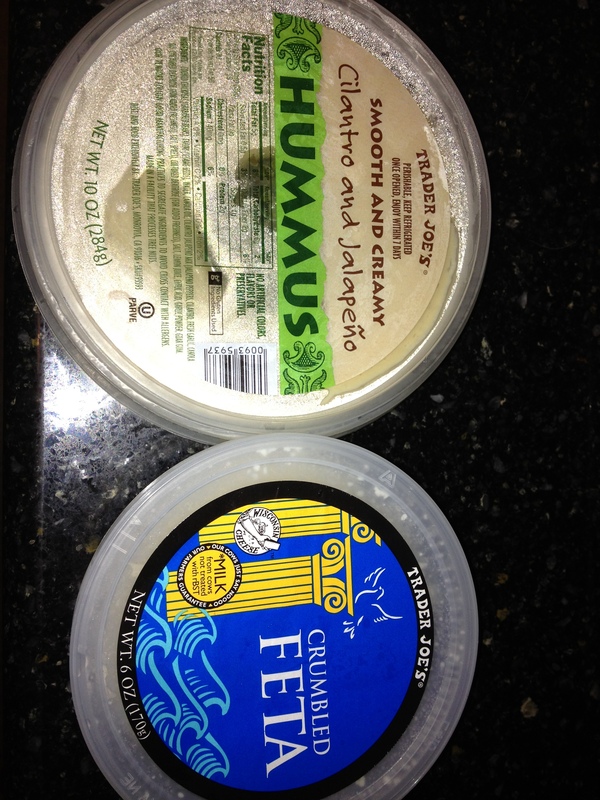 Will you marry me…..Trader Joe’s? This weekend a group of girlfriends/girlcousins loaded up the truck with coolers and coffees and headed south to Sarasota. 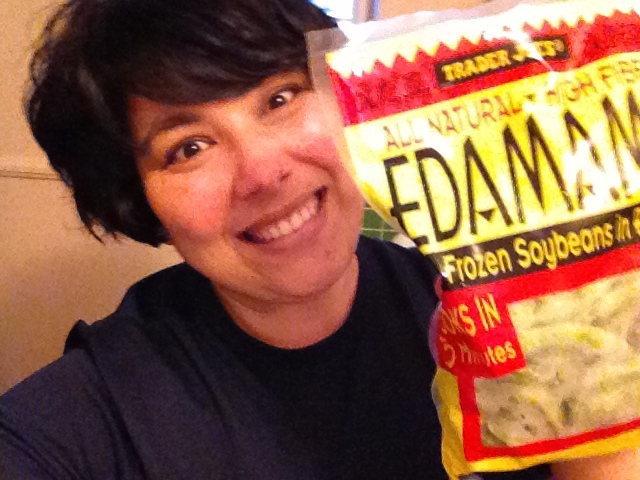 Last week we finally got something that northerners are oh so lucky to have- TRADER JOE’S. I had been once before, but never actually shopped. I was more than excited to plan this “fieldtrip” and excited to try some specialty items that I’ve seen bloggers and people on the Twitterverse rave about for years. It only took about an hour to get there from Tampa, and only a minute to find a parking! (it WAS packed… we just lucked out). I was even surprised to see carts out front, as I thought they’d be all taken by the time we arrived. I knew it would be busy, but I had NO idea just how busy. I really had no rhyme or reason to my shopping, nor did I have a “list”. I figured I’d walk the store 5, or 6 or 20 times and grab as I peruse. The deals were EVERYWHERE, and I put some items in my cart that I had never even heard of! YES those are brussel sprouts in my cart. NO I didn’t like them when I made the recipe on the back tonight for dinner! We all definitely shopped until we dropped. Chris diving into her honey sesame almonds while waiting in line! Monica getting the goods down below! This is Craig. He gave me the inside scoop on the best selling products! The lines were L-O-N-G, but fast moving. We really only waited about 15 minutes. By the time we had loaded up the coolers and the back seat of the truck, we were beyond ready for lunch. We decided to play tourist and head to St. Armand’s Circle in Sarasota. As we passed the infamous Columbia, we all knew exactly what we needed: SANGRIA! Their black bean cakes are Ah-may-zing. So, what WERE my favorite purchases from the almighty JOE? 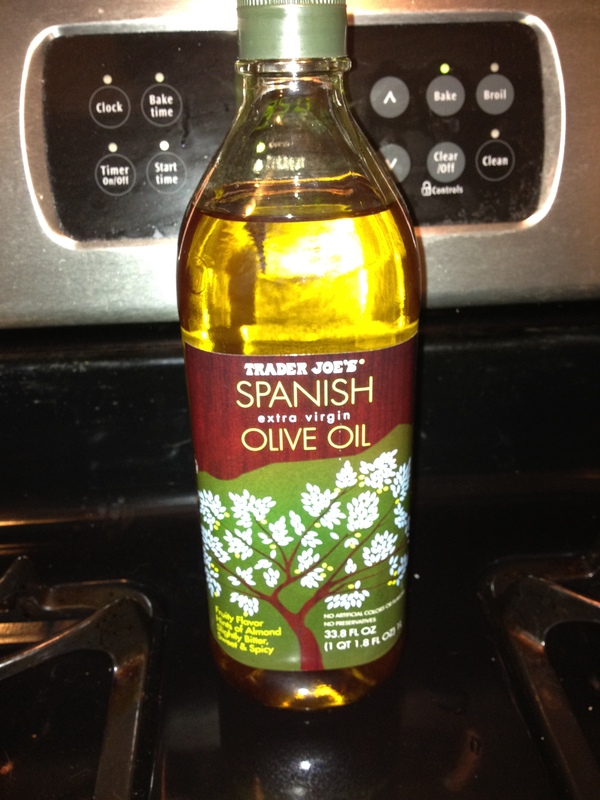 A HUGE bottle of EVOO for $6! 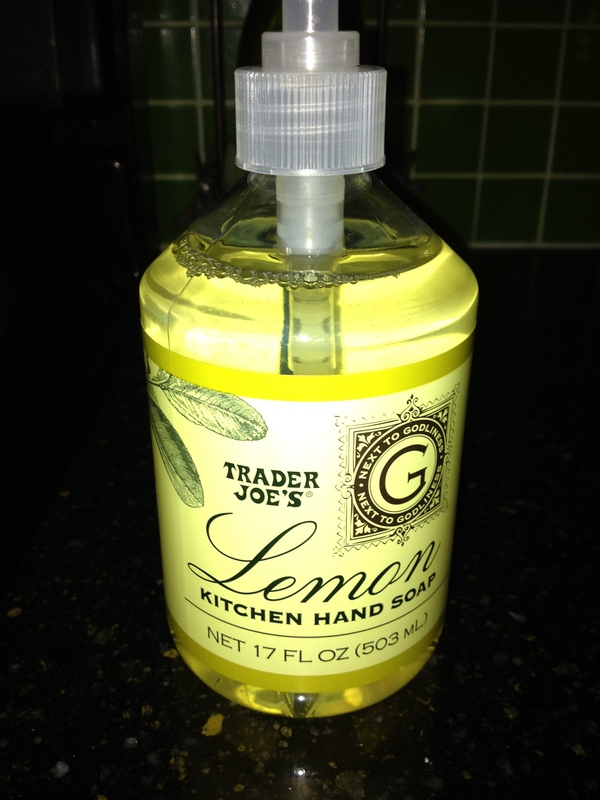 Lemon kitchen hand soap And….. the best thing I bought a Trader Joe’s…..
the legend…. wait for it… ary….. COOOOOOKIE BUUUUUUTER. So. Spill it. Did YOU drive to the new Trader Joe’s like we did? What did you score? As I try more things that I bought, I’ll add to my list of favs! 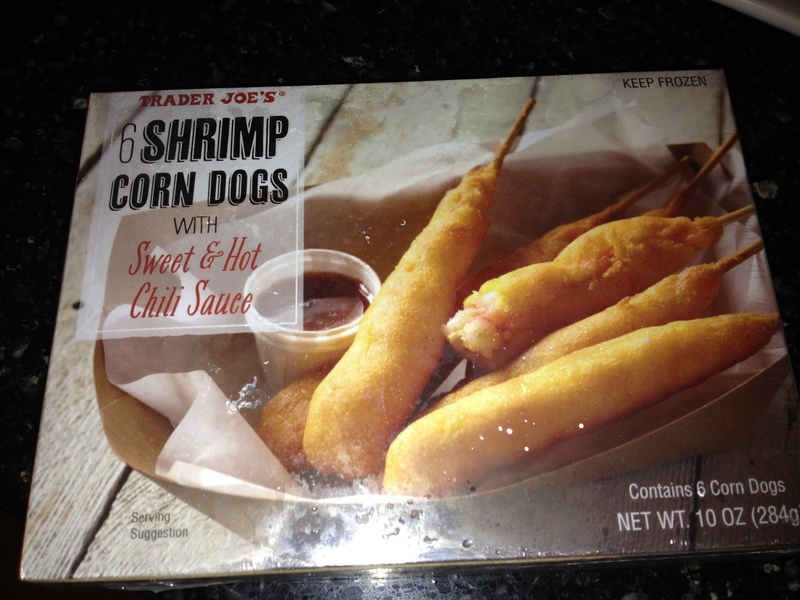 This entry was posted in Life, Products and tagged shopping, trader joe's, trader joe's in sarasota. Bookmark the permalink. Those shrimp were delish!!!! Even B liked them and he is Mr. Picky! Tacos- check and check! Yes, I am such a winooooooooo….lol….tell a friend you are going to Trader Joe’s and you end up with a list…or a request for a case of wine! Everyone kept asking me if the wine was that good…hahaha…for $2.99 a bottle, it can satisfy a wine crave in a heartbeat. Here is the recipe I made tonight with the delicious cookie butter…after googling this tasty little SIN-sation, I discovered that it originates from France and it also goes by the name Biscoff spread…they also mention some grocers do carry it near the nutella. 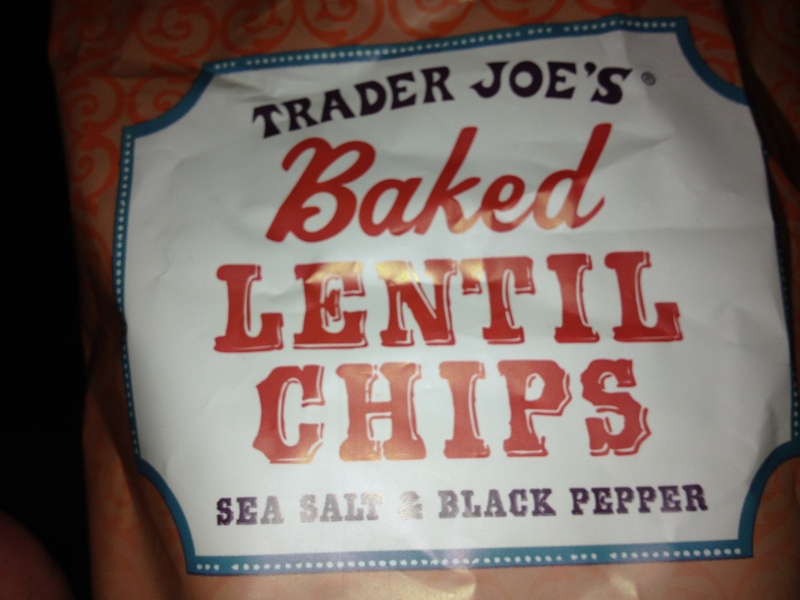 A field trip to Trader Joe’s is sure to be a treat…try it out, you might like it. YUMMMM! Yay! No pigeon needed! 😉 $2.99?? I didn’t know it was THAT cheap! 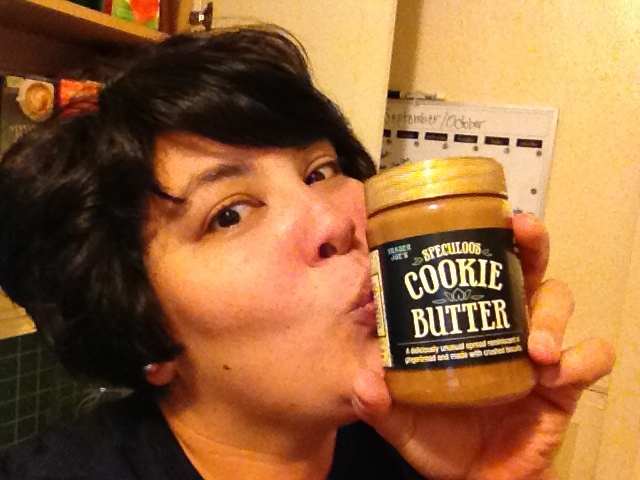 Cookie butter = Next game night! 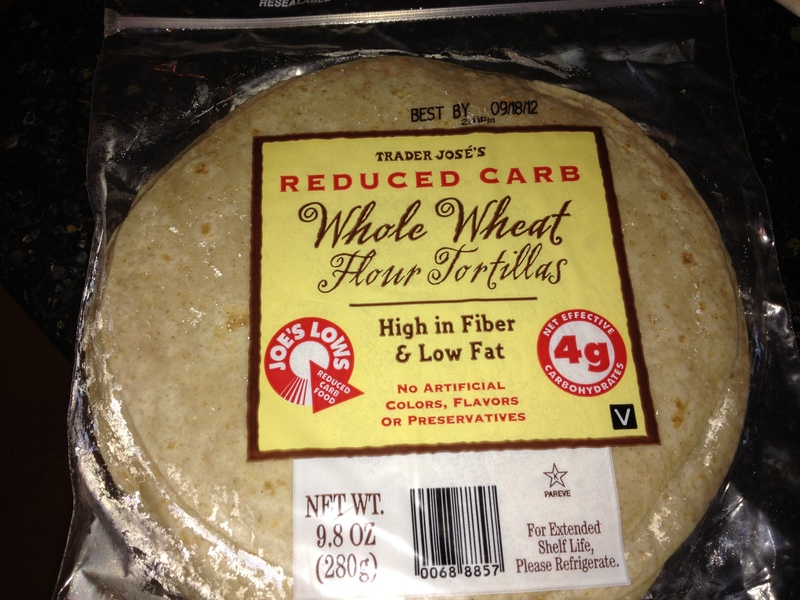 Oh, next time I must get those shrimp corn dogs and the low-carb tortilla wraps. We have really been enjoying all the things we bought!